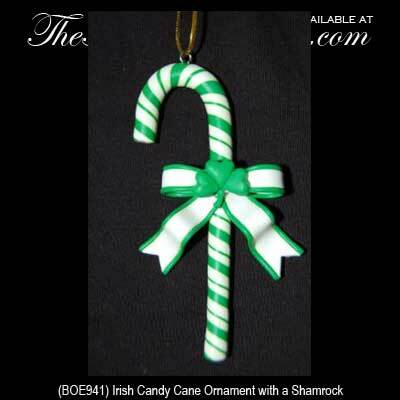 Sorry, this Irish candy cane ornament is now sold out. Candy Cane Christmas Tree Ornament with a Shamrock. Hand Painted, Green and White, Dimensional Design. 3 1/2” Tall x 1 3/4" Wide, Made of Polymer Clay, Gift Boxed.